This course is intended for people desiring to improve their ability to write and manage e-mail effectively. The instruction is focused on interactive review, discussion, and application of course techniques. All instruction is designed to help participants transfer the skills easily and effectively to the workplace. 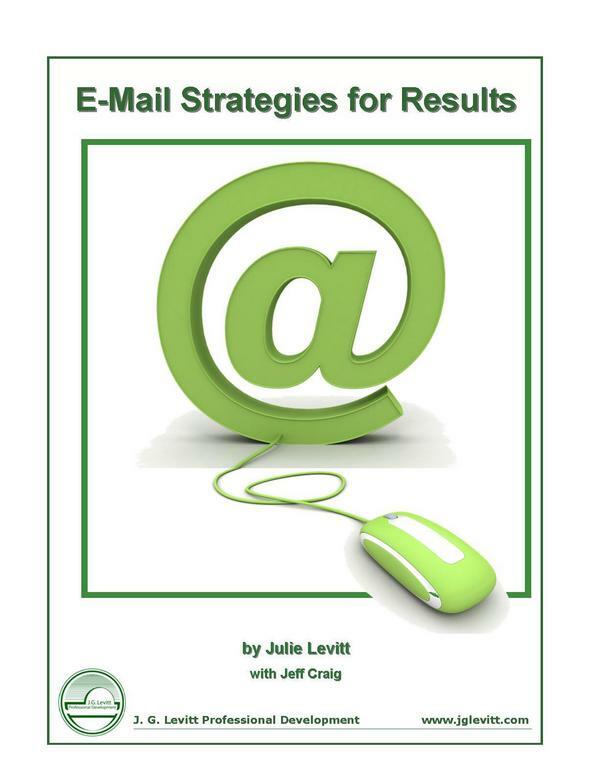 E-Mail Strategies for Results, by Julie Levitt, is provided for each course participant. This comprehensive collection of easy tools to improve e-mail writing and management effectiveness is both a learning tool and an efficient reference for future use. The book reflects current business trends and standards.